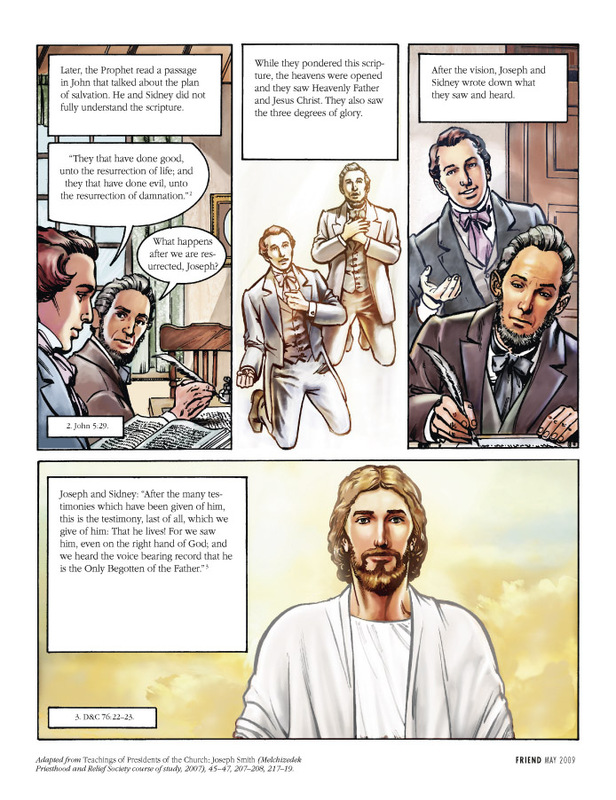 Adapted from Teachings of Presidents of the Church: Joseph Smith (Melchizedek Priesthood and Relief Society course of study, 2007), 45–47, 207–208, 217–19. What book is it talking about? 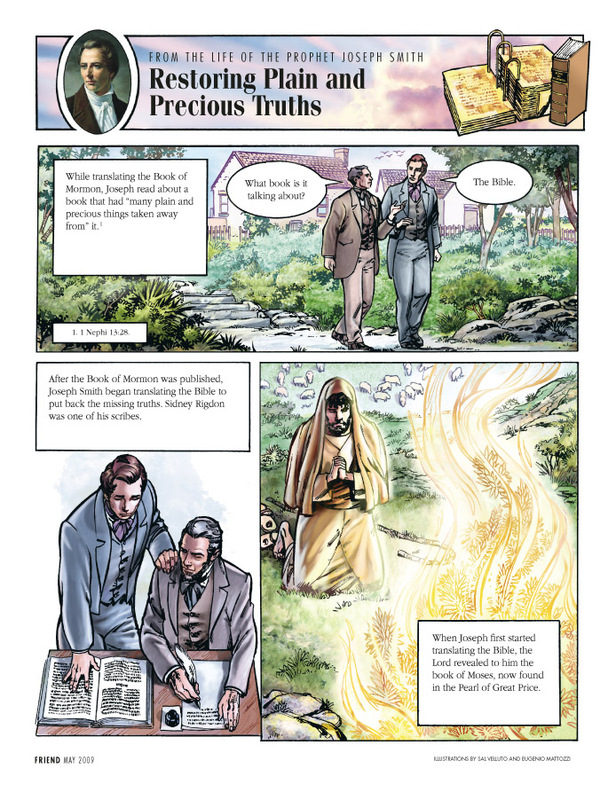 After the Book of Mormon was published, Joseph Smith began translating the Bible to put back the missing truths. Sidney Rigdon was one of his scribes. When Joseph first started translating the Bible, the Lord revealed to him the book of Moses, now found in the Pearl of Great Price. Later, the Prophet read a passage in John that talked about the plan of salvation. He and Sidney did not fully understand the scripture. What happens after we are resurrected, Joseph? While they pondered this scripture, the heavens were opened and they saw Heavenly Father and Jesus Christ. They also saw the three degrees of glory. After the vision, Joseph and Sidney wrote down what they saw and heard.